All who are in Christ will certainly suffer in this life as a result of their union with Christ. Christ promised His people suffering and persecution, cautioning all to count the cost before joining the ranks of the King of kings. 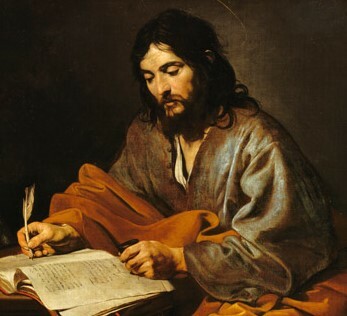 The Apostle John is writing a letter to the persecuted church and not only to the seven specifically mentioned in the initial chapters of the Book of Revelation, but to all the Church of Christ who would follow after these early believers up until the second coming of the Lord Jesus Christ. In Revelation 1:5-8 we are told the character of the Lord Jesus Christ, His great victory, and of His certain return. Verses 5-8 are unfolded and expanded upon throughout the subsequent chapters, yet they are here found in the beginning in order to encourage and strengthen those, who with John are partners in the tribulation. As Christians, united and identified with the Lord Christ, we are called to a life of faithful suffering and yet we are able to go through this life with the understanding that all of our foes are conquered foes and all of our sufferings are ultimately forced to work for our good and God’s glory; we march through this life united to the One who is the Victor, the One who is the Ruler of the kings of the earth, the One who is the Alpha and Omega. Is there any better encouragement that we could possess?